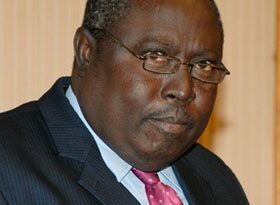 Former Attorney General Martin Amidu has challenged claims that granting a presidential pardon to the Montie three will be disrespectful to the judiciary. According to him, if that argument were to hold, then every other pardon granted by the President will constitute a disregard to the courts. “In my respectful view the most objective justification for the exercise of the power of mercy in this case is that the Court by adopting an unconstitutional procedure in convicting and imprisoning the contemnors, in one fell swoop, deprived them of any right of an appeal or a review of the decision of the Court,” the anti-corruption campaigner argued in a statement. He continued: “As for the argument that it will be an interference with the independence of the judiciary to grant any pardon, I will like the proponents of that doctrine to tell the whole world which exercise of the President’s powers of pardon cannot be said to be an interference with judicial independence in the sense that it pardons convictions and/or sentences already imposed in exercise of the Court’s judicial power. That is why it is a prerogative of mercy!”. The three contemnors, Salifu Maase, Alistair Nelson and Godwin Ako Gunn were handed a four-month jail term after they were found guilty of contempt by the Supreme Court. Several ministers have called on the President to activate article 72 of the constitution and pardon them. I read pieces of what has now become popularly known as the Montie 3 contempt of court contempt proceedings, convictions, and sentencing ruling and decision or orders on the web – particularly the Ghana Web. True to my self- imposed embargo upon the demise of my dear mother on 6th March 2016 to mourn her and stay out of the eyes of the media for some time, I defied the temptations put on my path by media houses and fellow citizens insisting on hearing my comment or urging me to proffer my written views on those proceedings. I excused myself with not having read the sentencing ruling and decision of the Supreme Court. A contemporary of mine at Law School and in Government baited me by e-mailing to me scanned certified true copies of both the sentencing ruling and decision with the request that I acquaint him with my opinion of the case after I had read it. This paper is the result of that understanding. I have consequently read a certified true copy of the sentencing ruling, and the decision in the Owners of the Station Montie FM criminal contempt of court case and come to the considered conclusion that it raises several issues of constitutional, professional, and public importance. It is beyond argument that the Supreme Court is clothed with the power to commit for contempt of itself under the 1992 Constitution. But the same Constitution enjoins the Supreme Court to exercise all its powers in accordance with the due process of law and to respect the fundamental human rights and freedoms guaranteed under it. I take the humble view that even though the courts’ powers for committing for contempt of themselves have often been described as almost arbitrary, that may only approximate the truth when one is dealing with contempt committed in facie curiae – in the face of the court or in court, so to speak – to be dealt with on the spot. However, when the contempt is a criminal contempt committed ex facie curiae (out of Court) the Court has no power or authority under the fundamental human rights and freedoms guaranteed by 1992 Constitution to proceed as the complainant, prosecutor, judge and jury in its own cause. The trial must be adversarial and comply with due the process of law of a fair trial. The inquisitorial Star Chambers method of ancient Britain by which the accused were brought before and tried by the Court was clearly inconsistent with and in contravention of Articles 12, 14(1), 19(2)©(d)(g) (10) and (18), 21(1)(a), and 33(5) of the 1992 Constitution. I came to the conclusion that the lawyers for the accused persons did not help the Court and the accused persons when they failed or refused to raise all the constitutional and legal defences against the charges and arraignment processes. They led their all trusting clients to the Court to plead guilty to the alleged charges of criminal contempt only to turn round to criticize the Court for interfering with the contemnors’ right to free speech because of the magnitude of the sentences imposed by the Court. I also take the further view that if the lawyers for the accused persons had insisted on the constitutional rights of the accused person to a fair trial throughout the proceedings the situation where the ambiguous 1st contemnor called “Owners of the Station – Montie FM” was transformed into Network Broadcasting Company Limited, and Zee Zee Media Limited and each director and officer of the corporate persons hauled individually, arraigned and personally convicted in addition to the conviction of each company would have been avoided. It does not appear from the sentencing ruling of the Supreme Court that the lawyers for the accused contemnors raised any preliminary objection, at the arraignment of the accused to plead to the criminal contempt charges, to the lack of constitutional jurisdiction in the Court to try the accused persons inquisitorially. The lawyer’s responsibility to the court and to his client is to put up all the best objections and defences for his client. The Court could have been persuaded that the non-adversarial manner by which it had brought the contemnors to the Court was inconsistent with the fundamental human rights and freedoms guaranteed by Chapter 5 of the 1992 Constitution, particularly Articles 12, 14(1), 19(2)©(d)(g) (10) and (18), 21(1)(a), and 33(5) thereof. The outline of the argument could have been that the process by which the contemnors were brought to the Court deprived them of their right to a fair trial under Article 19 of the Constitution as the process adopted by the Court presumed them guilty contrary to clause 2(c) thereof which enjoins that he “be presumed to be innocent until he is proved or has pleaded guilty”. It could also have been contended that the summary manner the Court was proceeding was depriving the contemnors of their constitutional right to be informed in detail of the nature of the offence charged and consequently being deprived of adequate time and facilities for the preparation of their defence contrary to sub-clauses (d), (e), and (g) of Article 19(2) thereof. It could further have been submitted to the Court that the manner it was proceeding summarily in the criminal contempt by calling upon the contemnors to show cause why they should not be committed for criminal contempt of court offends Article 19(10) which enjoins that: “No person who is tried for a criminal offence shall be compelled to give evidence at the trial”. The Court could have been reminded that Article 19(12) of the 1992 Constitution makes only one exception for the Court when trying criminal contempt of court by excluding only the application of Article 19(11) which requires that: “no person shall be convicted for a criminal offence unless the offence is defined and the penalty for it prescribed in a written law.” It would have been obvious to the Court that if the framers of the Constitution had intended the courts to try offences of criminal contempt inquisitorially contrary to the other guaranteed fair trial clauses of Article 19 of the Constitution they would have specifically said so in Article 19(12). The foregoing submission could have been inextricably interwoven with submissions on the guaranteed freedom of speech and expression which includes the freedom of the press and other media under Article 21(1)(a) of the Constitution. It could have also been contended that the inquisitorial approach of the discredited Star Chambers of old in punishing non-adversarially for criminal contempt have not only be discarded in all civilized democratic countries but that Articles 12 and 33(5) of the Constitution enjoins the Supreme Court of Ghana to protect, defend and guarantee the rights, duties, declarations, and guarantees not specifically mentioned which are considered to be inherent in a democracy and intended to secure the freedom and dignity of man”. It could have been submitted with the aid of decided cases (including the Supreme Court’s Republic v Kwabena Mensa-Bonsu & 2 Others: Ex Parte Attorney-General [1995-96] 1 GLR 377) that even the Anglo-Saxon jurisprudence which we inherited has long considered prosecutions for criminal contempt as being inconsistent with rights inherent in a democracy let alone an inquisitorial approach long discarded by our colonial masters who introduced us to it. In accordance with the doctrine of judicial precedent the case of the Republic v Kwabena Mensa-Bonsu alone would have provided material on which to anchor strong constitutional and legal arguments why the procedure by which the contemnors were brought to the Court was unconstitutional and inconsistent with the Court’s jurisdiction under the Constitution. The case of the Republic v Liberty Press Ltd & 28 Others  GLR 123 could also have been persuasive. These are examples of ex facie contempt tried adversarially and not inquisitorially. The Liberty Press Ltd case upon which the Supreme Court apparently relied in formulating parts of its sentencing ruling and the binding Kwabena Mensa-Bonsu case, which the Court overlooked, show that the trial of any charge of criminal contempt of court partakes of the same characteristics as the trial of any other criminal offences with the prosecution having the burden of proving the guilt of the accused persons beyond a reasonable doubt including all the presumptions of innocence etc. These cases would have been helpful in formulating the submission to the Court as a preliminary objection to the inquisitorial summons by which the contemnors or the accused persons were brought before the Court. In the very scheme of our Constitution, the Court would have been compelled to decide the preliminary objection to the inquisitorial procedure adopted to try the contemnors for the offences charged. The beauty of our judicial process is that the Court even if it overruled all the preliminary objections would have been compelled to assign considered reasons for rejecting them. The ruling or judgment will be a public testament of the Court’s decision in such important Constitutional and democratic matters to which the justices will eternally be judged. No court or judge wants to be associated with indefensible rulings touching the fundamental rights and freedoms in democracies such as ours. Both the legal arguments or submissions, and the court’s ruling act as a restraining factor on the contempt of court powers which have already been recognized as being arbitrary. The lawyers in Liberty Press Ltd, and Kwabena Mensa-Bonsu knew this and took their chances and even though the accused in the Liberty Press Ltd case later changed their pleas to guilty and those in the Mensa-Bonsu case eventually lost the trial the public and the legal profession will continue to judge the conduct of the justices in those cases. The preliminary objection to the procedure and the charge of criminal contempt has nothing to do with the guilt or innocence of the contemnors. The accused person had a constitutional right to challenge the Republic in whose name the crime of criminal contempt was being prosecuted by the trial court on its own motion to prove his guilt adversarially and beyond a reasonable doubt. The lawyers unfortunately failed or refused to discharge their responsibilities to the accused persons and to the Court. The contempt for which the accused persons were hauled to the Court was committed ex facie curiae – out of court. I was consequently interested in the title of the criminal contempt case. Contempt of scandalizing the court with which the accused persons were charged is a criminal offence and like all criminal offences must under Article 88 of the Constitution be prosecuted in the name of the Republic and by the Attorney-General or any other person authorized by him in accordance with law. But because the Court had assumed the arbitrary power of being the complainant, prosecutor, and judge in its own cause the title of the case was Abu Ramadan, Evans Nimako vrs. 1. Electoral Commission 2. The Attorney General, In Re: 1. The Owners of the Station – Montie FM, 2. Salifu Maase @ Mugabe (3) Alistair Nelson (4) Godwin Ako Gunn as though the criminal contempt was committed in facie curiae. The Supreme Court in Kwabena Mensa-Bonsu underscored the difference between contempt in the face of the court and the prosecution of ex facie criminal contempt of court cases and arrived at the same conclusion. Regrettably such an important issue was not raised by the accused persons as a preliminary point to jurisdiction at their arraignment. And as the ruling shows the Court was exasperated by the Attorney-General’s lack of responsiveness to the execution of her constitutional duties that it decided unwittingly to treat the matter as though the contempt was committed in court and was being dealt with ‘“on the spot” so to speak’. In the rulings in Liberty Press Ltd, and Kwabena Mensa-Bonsu the rulings adequately state not only the charges but also in detail the particularly of the charges faced by the accused persons. The sentencing ruling in the Owners of the Station – Montie FM case does not state the particulars (let alone in detail) of the nature of the offences charged, to have enabled the accused persons to have known the details of their crime to enable them plead knowingly to the charges. It only states that they were brought before the court for contempt of court on three grounds namely”: (a) Scandalizing the court (b) Defying and lowering the authority of this court and (3) Bringing the authority of this court into disrepute.” What is stated as three separate offences are not mutually exclusive offences one of the other and without detailed particulars accompanying each offence the charges were on their face bad for duplicity and also inconsistent with Article 19 of the 1992 Constitution on fair trial. Far from being an indictment on the accused persons it demonstrates that they were arbitrarily hauled before the Court without any semblance of the due process of law in criminal justice administration as mandated by the Constitution. Their criminal charges were clearly bad for lack of particulars at arraignment. It follows from the foregoing that the constitutional rights of the accused person under Article 19(2)(e) of the Constitution enjoining the Court that the accused “be given adequate time and facilities for the preparation of his defence” was also violated. The first contemnor in the Montie case is called: “Owners of the Station – Montie FM” and not even simply “Montie FM”. It is trite learning that because criminal contempt can be proceeded against only natural or legal persons as defined in our laws the names of each of the accused persons must be specifically and unambiguously stated in each count and detailed particulars of the charge provided to the accused. It is also trite law that in criminal contempt proceedings each accused person must be served personally with the summons, motion or process to appear before the court. The name “Owners of the Station – Montie FM” is not the name or names of any person who could have been served personally with the summons or processes for criminal contempt ordered by the court which was making its own complaint, prosecuting same, judging same and being jury for same. How parties are summoned to a court is as important, and part and parcel of the delivery of justice under our constitutional protection of human rights and freedoms binding upon the Court. 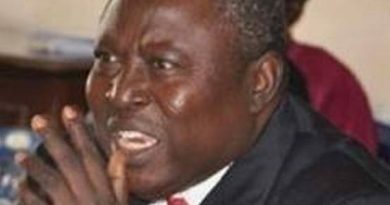 “Hence in the case of the Republic v. Liberty Press Ltd (supra), it was the Managing Director of the Liberty Press Ltd, the printer and 28 professors and lecturer who were members of ‘Legon Society on National Affairs’, publishers of Legon Observer, who answered for the publication in that magazine that scandalized the judiciary. 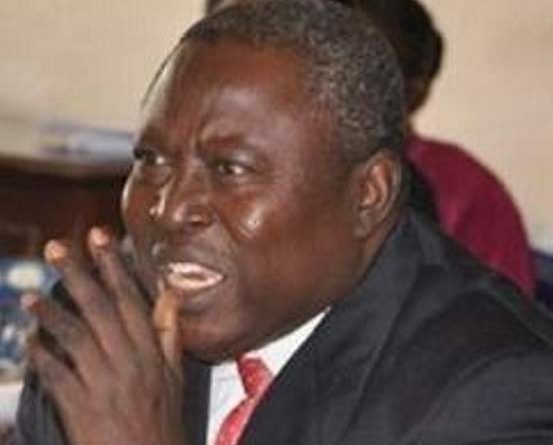 That is what happened in Liberty Press Ltd with the difference that each of the 28 professors who were members of the unincorporated “Legon Society on National Affairs” were specifically named and served personally with the criminal contempt process – the pursuant notices – to each appear to answer the charges against them. The Managing Director of Liberty Press Ltd represented the legal person Liberty Press Ltd and not each of the directors and officers of Liberty Press Ltd under the name “Owners of the Printing Press – Liberty Press Limited”. A careful reading of the ruling of the Supreme Court in Owners of the Station – Montie FM leaves one in no doubt that the Network Broadcasting Co. Lt. or another limited liability company called Zee Zee Media Ghana Ltd referred to in the ruling were never served personally with any processes for criminal contempt of court to commence any contempt proceedings against them. One walks away with the unavoidable impression that when the Supreme Court decided to summon the suspects called Owners of the Station – Montie FM before it, the Court did not even know the legal status of Montie FM or the specific identity of its owners and therefore resorted to the arbitrary power of fishing at large for whosever would be caught by the phraseology the Owners of the Station – Montie FM. It then discovers that two limited liability companies – Network Broadcasting Co. Ltd or another limited liability company called Zee Zee Media Ghana Ltd own the physical infrastructure and frequency respectively. The Court then proceeds to summon the Secretaries and directors of the two companies without apparently first formally summoning and serving the two companies in name as accused contemnors. Such fishing by the Court for evidence of identity of the accused persons is clearly unconstitutional. The ruling cites Liberty Press Ltd as an example and to justify the manner it summoned the Secretaries and Directors of Network Broadcasting Co. Ltd and Zee Zee Media Ghana Ltd to appear before it. Unfortunately the analogy flies in the face of reason. In Liberty Press Ltd on which the Court relied for its propositions of law the Managing Director is the only person stated in the report of that ruling to have represented the company. It is axiomatic that once there was a Managing Director the company also had a Board of Directors and other officers but they were not summoned as it was superfluous for them to appear before the court individually and personally to answer the company’s charges of criminal contempt. The second sentence in the decision or order No. 3 is superfluous because it merely states what the law in respect of the liability of all corporations for contempt is. But the person convicted is the company as the decision of the Court shows. It is also trite law that incorporated companies in contempt of court are fined and not imprisoned because the artificial legal person represented by the company is a notional concept and not physically available for imprisonment. But it is also trite law that whosoever pleads to a charge of contempt of court on behalf of such a legal person does so with proper authority to represent the company. A corollary of the trite law referred to by the Court is that the legal person in contempt is the company and not its officers who are only vicariously liable for paying the fines or going to prison on behalf of the company. From the Supreme Court’s own statement of the law in Liberty Press Co Ltd the directors and officers of a company are not personally the contemnors as was the case with the unincorporated “Legon Society on National Affairs” where each of the 28 professors and lecturers who were its members were individually charged and pleaded to the charge in person and were individually convicted. The position would have been the same even if Montie FM was said to be an unincorporated body. The corporations and not its officers individually would still be the owners. Consequently, any disclosure in the record of proceedings in Owners of the Station – Montie FM showing that each of the directors and officers of the corporations were individually summoned by the Court and forced to each plead to the charges against the corporation in person and each convicted is clearly a violation of statement of the trite law by the Court and also of the 1992 Constitution. The foregoing analysis and statement of the triteness of the law by the Court itself on this matter is what makes it absurd that the sentencing decision of the Supreme Court has an end note stating that one of the Directors of the 1st Contemnor in the person of Mr. Ato Ahwoi, who was absent on the days the matter was heard, appeared and pleaded liable with explanation. Mr. Ato Ahwoi by the Court’s own statement of the law is a director of Network Broadcasting Company Limited, a legal person in its own right. Without any evidence that the company was properly served with contempt proceedings, an authorized representative of the company had already appeared before the Court and pleaded on behalf of the company upon which the company had already been convicted. After the conclusion of the sentencing the Network Broadcasting Company Limited and the other contemnors for criminal contempt of court, the Court is informed that one of the directors who was absent from the jurisdiction is in court in obedience to an order or request by the court that all directors of the company should appear before the Court apparently so that they will know how the legal person they collectively represent is to be dealt with. Without further ado the Court takes the plea of Mr. Ato Ahwoi, a director of the already convicted and sentenced Network Broadcasting Company Limited without any record that the charges were read and explained to him. There is also no record in the end notes which represents the record of proceedings on this director, Mr. Ahwoi, to show that he was represented by a lawyer or that he had opted to represent himself in person. He pleads guilty with explanation. 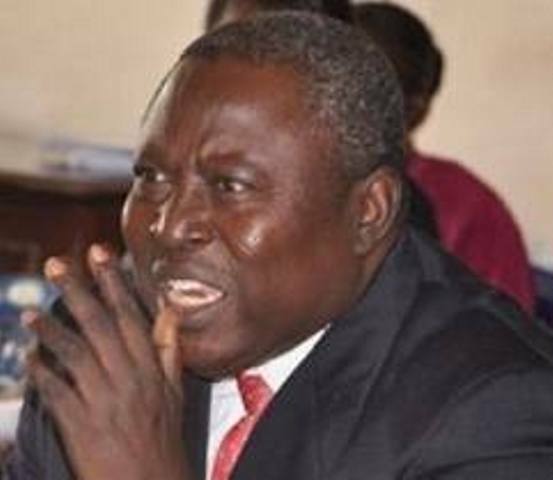 The purported conviction of Mr. Ato Ahwoi as a director for an offence which the limited liability company in which he is a director had already been convicted and sentenced to a fine of GH30,000. 00 is a fundamental error of law that has occasioned a grave miscarriage of justice to him. The triteness of this law is that once the trial, conviction and sentencing of the Network Broadcasting Company Limited had been completed the Network Broadcasting Company Limited could not under Article 19(7) of the 1992 Constitution be charged with the same offences again. It follows that Mr. Ato Ahwoi who was merely one of the directors of the company benefits from the immunity acquired by the company and could not also be tried personally for the same offence a second time. Regrettably, and unfortunately, because the Supreme Court choose to prosecute and judge a contempt ex facie curiae by itself, it unwittingly failed to allow Mr. Ato Ahwoi the basic right to a lawyer before taking his plea, follow the due process of law, and convicted him when it should have been trite that he was being put in double jeopardy for the same offence after the earlier conviction and sentencing of the company for which he is director. It is instructive that after purporting to convict Mr. Ato Ahwoi, the Court found itself unable to sentence him personally for the alleged criminal contempt of court. The purported arraignment and personal conviction of Mr. Ahwoi as a director of the company in addition to the earlier conviction of the company itself was inconsistent with and in contravention of Article 19(7) of the 1992 Constitution. I say also that in so far as the Supreme Court did not avert its mind to the constitutional standards laid down in the criminal contempt case of Kwabena Mensa-Bonsu on the procedure and burden of proof for the criminal contempt of scandalizing the court, the ruling in the Owners of the Station – Montie FM case was rendered in disregard of the Courts own previous and binding decision. In accordance with Article 129(3) of the Constitution the ruling in the Owners of the Station – Montie FM was given per incuriam and consequently void under the Constitution. “The judge, even when he is free, is still not wholly free. He is not to innovate at pleasure. He is not a knight-errant, roaming at will in pursuit of his own ideals of beauty or goodness. He is to draw his inspiration from consecrated principles. He is not to yield to spasmodic sentiments, to vague and unregulated benevolence. He is to exercise his discretion informed by tradition, methodized by analogy, disciplined by system, and subordinated to the ‘premodial necessity of order in social life’”. I find the immediate resort by the lawyers for the contemnors to petitioning the President for pardon for the contemnors revolting having regard to the context of the case, the background of the contemnors, and their association with the Government of the day. It embarrasses and encumbers the Presidential power of mercy which he may exercise in respect of any conviction for crime including the offences constituting criminal contempt of court after consultation with the Council of State. As for the argument that it will be an interference with the independence of the judiciary to grant any pardon, I will like the proponents of that doctrine to tell the whole world which exercise of the President’s powers of pardon cannot be said to be an interference with judicial independence in the sense that it pardons convictions and/or sentences already imposed in exercise of the Court’s judicial power. That is why it is a prerogative of mercy! : to “grant to a person convicted of an offence a pardon”…. Etc. Anybody acquainted with the judicial process should know that there have been instances in which courts themselves have invited the President to consider exercising his powers of mercy by pardoning the convicted. It will be an insult to the integrity, professionalism and maturity of our judicial system to say that the Court will be offended by any exercise of the powers of mercy by the President, simply because the conviction was for contempt of the court. The advocates against the exercise of the President’s powers of mercy in the Owners of the Station – Montie FM case may be ignorant of the fact that various Presidents under the 1992 Constitution have in the past exercised the power of pardon in favour of some convicted criminal contemnors whose cases arose from or as a result of constitutional litigation in the Supreme Court or other lower courts without any objection or bother from the judiciary. Why should the Owners of the Station – Montie FM case be an exception? The problem is that most convictions and sentences for criminal contempt arising from or associated with the conduct of constitutional cases in the courts invariably take on a partisan political flavor in this country, let alone in an election year. 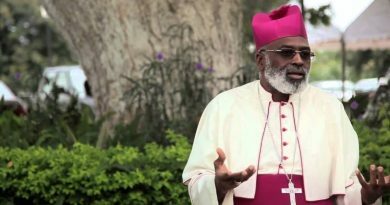 A dispassionate observer will not fail to see that with a few exceptions the arguments for and against perceptions of fairness of how the Owners of the Station – Montie FM case were tried; and whether or not the President could consider exercising his power of mercy at any appropriate time of his choice has been clouded by political party interest with an eye towards campaign rhetoric’s for the coming elections. In my respectful view the most objective justification for the exercise of the power of mercy in this case is that the Court by adopting an unconstitutional procedure in convicting and imprisoning the contemnors, in one fell swoop, deprived them of any right of an appeal or a review of the decision of the Court. The Court cannot be the Respondent in an application for review. It is also absurd to suggest that the Attorney-General who did not initiate or conduct the contempt prosecutions can now be a Respondent to a review application on their behalf. The matter is complicated by the fact that jailing the accused at the close of the legal year unwittingly ensures that any application brought on their behalf may not be heard until after the vacation in October by which time they might have served almost the whole term of imprisonment. But as is usually the case with most constitutional conflicts with partisan political undertones timing in whatever a President does is important for purposes of managing perceptions and wounded feelings. The strategic resources at the disposal of every President are intended to guide him in taking decisions that meet his strategic vision for a nation and its public interest. I take cognizance of the fact that the convicted and imprisoned accused contemnors were convicted upon their own plea of guilty. But as I have demonstrated herein those pleas were procured in contravention of the fundamental rights and freedoms, and other provisions of the 1992 Constitution. I share all the sentiments expressed in Liberty Press Ltd, Kwabena Mensa-Bonsu and the sentencing ruling in Owners of the Station – Montie FM on the sanctity and respect to be accorded by the citizen to the judiciary and the individual judge. It was for some of these reasons that I initiated, and conducted in person as the then Deputy Attorney-General the Kwabena Mensa-Bonsu criminal contempt prosecution in accordance with the due process of law and secured convictions and sentences. As the longest served former Deputy Attorney-General, and a former Attorney-General of Ghana, I have a history of ardently fighting against any attempt to bring the judiciary into contempt and disrepute in any form whatsoever. I believe that the Constitution mandates every citizen to defend the judiciary within its permissible prescriptions. The sentencing ruling and decision of the Owners of the Station – Montie FM case, however runs roughshod over the liberty of the individual under Chapter 5 of the Constitution. It is, therefore, with great reluctance that I write this considered paper in defence of the 1992 Constitution.